As Christians, have you fallen for “Make America Great Again”? It sounds good. It evokes feelings of patriotism and love for our country. But greatness is not found in power or standing or economy. It does not come from how other countries view us. “If My people who are called by My name will humble themselves, and pray and seek My face, and turn from their wicked ways, then I will hear from heaven and will forgive their sin and heal their land” (2 Chronicles 7:14). Please notice that in the aforementioned Scripture, the Word says “My people who are called by My name.” This is referring to Christians. The Lost are not called by His name. Do you think that slaughtering the unborn and marching for the right to do so is greatness? Do you think that having the highest court in the country change the Biblical definition of marriage to ‘between any two people’ is greatness? Do you believe that “booing” the Creator of the Universe at a major political event is greatness? Do you think that displaying a digital 3D image of the Arch of Palmyra (Gate to Baal’s temple) in many American cities shows greatness? I’m sorry if that offends the reader. I believe this to the core of my being. America is now a land of filth and depravity. I will still vote in the coming midterms and in presidential elections in 2020 (if we are still here). But I do so out of respect for our Constitution and having the right to vote. We laid back and rested on our laurels, and watched as every moral fiber of America was ripped away by the Marxist/Socialist God-hating Left. We elevated President Trump to a place he should never be. He is a man. He is not God. Yes – he has done good things for Israel and for our economy. He is even turning around the migrant policy for Christians to come to America. His predecessor, Barack Hussein Obama, did not want to rescue the Christians in the Middle East. He allowed the most horrific slaughter of Christians in the history of the world. So yes – President Trump has done good things. I will vote for him again (if we are still here) but I do not delude myself about this man. We need to repent. We need to pray. We need to admonish those who have fallen for a different gospel – the Social Justice gospel, to come back to the TRUE Faith: the TRUE Gospel – the Gospel of Jesus Christ. Did you know that the millions of Social Justice gospel followers are fine with abortion, transgenderism, gay marriage – etc etc ad nauseam. How are we any better than Sodom and Gomorrah, and don’t forget what the Lord did to them! The Demonic judiciary hearings which are taking place today on Capitol Hill regarding the nomination of Brett Kavanaugh to be a member of the SCOTUS is a disgusting debacle. I tried to watch it but could not. We know that the Leftist Marxist/Socialists who are also known as Democrats, are in such a frenzy over the possible appointment of Brett Kavanaugh. Liars are coming out of the woodwork to bring shame and dishonor to this man. Why? One reason: ABORTION. These blood thirsty demonically possessed people even threatened the Kavanaugh family with physical harm. Can you imagine our Founding Fathers watching this unfold? Have you seen the videos of the crazed liberals pounding on doors and women weeping over the thought that Roe Vs. Wade could possibly be overturned? Brethren, we are too far gone and there is no turning back now. We still have things we should be doing for our Lord and for the lost who have not been given over to their depraved minds by God. We need to pray for our friends and our family for their salvation. We need to pray for our leaders; President Trump and his family and administration are in need of our prayers daily. The Left would love to kill him. I know that sounds strong but it is true. We should always take the opportunity to share the true Gospel of Jesus Christ. NOT the Social Justice false gospel; NOT the prosperity gospel; NOT the return to Rome – let’s all be catholic false gospel. We are to share TRUTH and that will dispel the lies which Satan has propagated so well. After all, that is what he does! We should be yearning for the return of our Lord and Savior Jesus, every minute of every day. 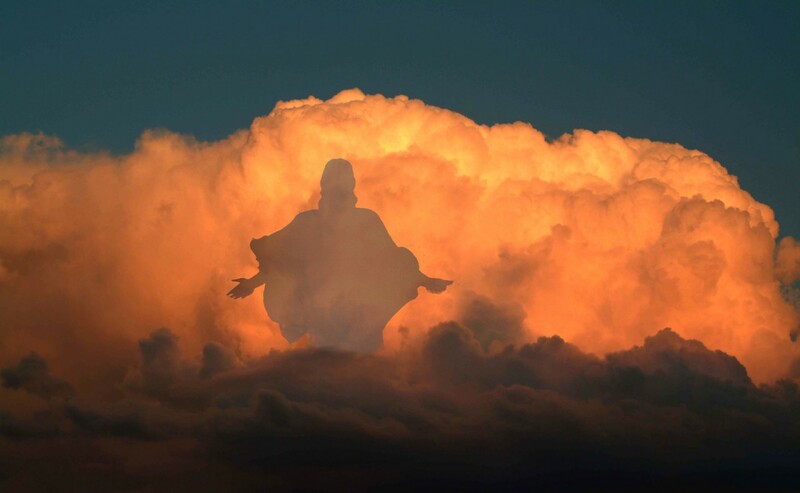 Look up and tell Him that you yearn for His appearing to take us from this wicked place! Brethren, this is our Blessed Hope!! If you are holding onto things of this earth, and that is keeping you from wanting the Rapture to happen; you need to repent and examine yourself to see if you are in the faith.